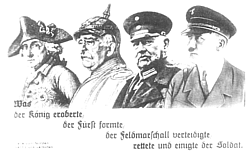 1933 Postcard: Frederick II, Bismarck, Hindenburg, Hitler. The captions reads: "What the king conquered, the prince shaped, the field marshal defended, was rescued and united by the soldier"
Hist 2c: World History, 1700-pres. Jan. 2012 HuffPost article on the word "Holocaust"--how its meaning with regard to genocide has changed since the early 1930s. June 8, 2015: Adding from Winter 2015: syllabus, journal assignment handout, research project option handout. June 19, 2014: New York Times columnist David Brooks lays out 5 things that happened in post-genocide Rwanda that might point toward policy goals to limit the genocidal situation now transpiring in Syria and Iraq: "In the Land of Mass Graves: Are There Lessons for Iraq in Rwanda?" Jan. 13, 2014: working in the book essay assignment project upload page--we never got around to setting up an index page for those 37 book essays, but with this link to the 2010 projects directory google will find and index the files, so that they will be accessible through google searches using terms in those essays (such as the book title). If you click the link you will see the file listing. Scroll down to the html files (the first ones are the book cover images and database text initially used to generate the pages). Clicking on them brings up the page--you can guess what its topic is because the filename starts with the book author's name and year of publication. The second surname in the filename is the student author's. March 13, 2013: WAITING LIST. This course filled up in mid-February 2013, and a waitlist was started at https://waitlist.ucsb.edu/. As of March 1, 25 names were on the list, and only one space had opened up. I will be giving seniors who need this for a GE requirement priority (documented by their transcript). 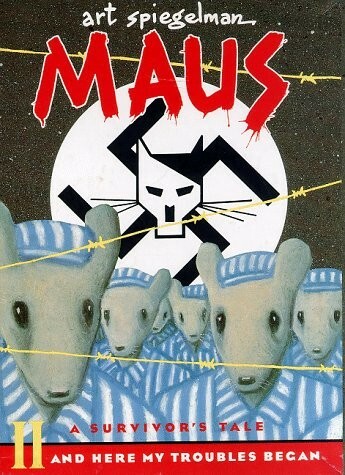 For non-seniors, I will be teaching Hist 133B: Germany, 1900-1945 in Fall 2013. This course covers some of the same material. 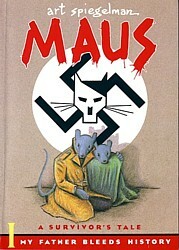 Books for Spring 2013: The textbook by Ronnie Landau and the graphic memoir Maus (both vols.) will be used. See Book section below for purchasing information. This is a reminder that we have a film showing on Tuesday evening, 7pm in HSSB 4020 (1 hour 25 mins). It will be helpful to have done the reading before then, especially the selection by Roseman. As many of you noticed, I forgot to do midterm question 1 in class. It is posted on Gauchospace, due Sunday 8pm. It's pretty simple. Have a good weekend, and see you Monday. This is just to remind you that we will be watching the film "Escape from Sobibor" this evening (Tue 2/7) from 7-9pm in HSSB 4020. Please do your best to read the Rumkowski & Levi readings (pp. 75-95) in the reader before the film. BTW, Q3 will be based on these. Those of you at the film screening know that Q3 is now posted on Gauchospace. Note that although the main question, to define "Gray Zone," could fill many pages, I'm jlust asking for a short definition. There is no single "right answer," although good answers will draw from Levi's examples. This is a 10-15 min. assignment (if you've done the reading). BTW, the film is available in pieces on youtube, and in WMP video. Additional essays and sources will be available as a photocopied reader, at GrafikArt in IV. There are many reasons to study the Holocaust, which I understand to be the systematic, state-run mass murder of entire groups of people. In this course we will not only study what happened, but also investigate why those events happened. My courses also emphasize historical skills: assessing and interpreting historical sources, and presenting the results of research. 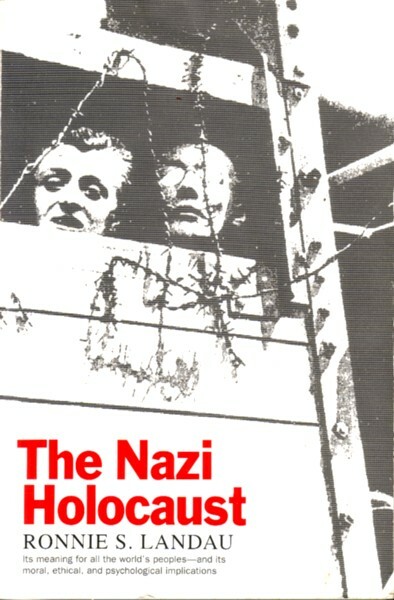 Nazi propaganda documents (originals with English translations), at an excellent site created in 1999 by Randall Bytwerk at Calvin College in Grand Rapids, Michigan, author of Bending Spines: The Propagandas of Nazi Germany and the German Democratic Republic (2004; $17 at amazon). 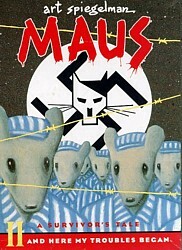 There is also a section on pre-1933 Nazi propaganda. German History in Documents site: The German Historical Institute in Washington has specially prepared translated documents, maps and images about Nazi Germany online. The US Embassy in Germany has History of German-American Relations, 1901-39 and 1939-45 pages with excellent and easily navigable collections of documents. ThirdReichRuins.com compares photographs of many historical sites "then" and "now." It was made by Geoff Walden, with many of the "then" photos stemming from his father, who was stationed in Germany in 1945-46. 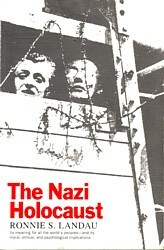 ScrapbookPages.com is another private initiative that gives excellent photographs and information about many Holocaust sites, with some then-and-now perspectives as well. Mar. 6, 2008 [Mar 11 update]: Midterm Survey Results, conducted Feb. 18-Mar. 3. The original questionnaire was on surveymonkey.com; 29/37 students had taken it when I downloaded the results on Monday, March 3. Der Spiegel Sept. 2009 series "The Road to World War II"
Finally, a student said that the textbook (Landau) is sold out in the campus bookstore. There are a number of new and used ones available online. I could also put in a group order on amazon, where I get free 2-day shipping. The price there is about $13. If you are interested in having me order one for you, email me by Monday at 4pm and there is a chance I'll have them by Thursday's class. Feb. 3, 2010: Please don't forget the film showing this evening, 6:30-9:45 in Phelps 1160. 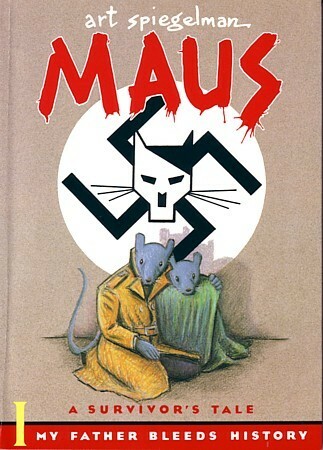 "Hauntings: Ghosts from a Nazi Childhood," will be about a reader of her book who also knew her Hitler Youth teacher Lotte Treptow/Turnow (a pseudonym). Pay attention to mentions of this teacher. The introduction, chaps. 5 and "8" (9 in the book) can be accessed on the web from this page on my website. Jan. 3, 2012: See books, immediately below for the Winter 2012 course books (you can save a good bit by ordering them online before the course starts, BUT TAKE NOTE: you will need these books before the second week of classes--by Jan. 14, 2012--in order to prepare for class. There are over 20 names on the waiting list, and only 2 spaces available. NO CHANCE OF CRASHING anymore. The course reader (296 pages) is very important--it contains most of the readings for this class. It will be available at GrafikArt on Pardall in IV, but not until later this week--stay tuned for more information. There will NOT be a copy on reserve at the library. Hist 133DR students also in Hist 133D should NOT buy this reader, but a shorter one without the selections from the books we're reading in the seminar. The readings for THIS week are: Browning, "One Day in Jozefow" (1991) and Goldhagen, "Police Battalions: Agents of Genocide" (1996). They are only available here and on GauchoSp. 2008 analysis: 37 students, 832 hits/82 days = 71/week or each student checked about 2x/week.